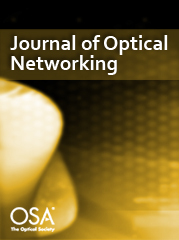 We propose an architecture for a WDM-based photonic packet switch. This is a wavelength routed switch in which, once the wavelength of the incoming packet is tuned appropriately, will either be directly transmitted to the output fiber or will be placed in the buffer, and comes out of the loop buffer after the required amount of delay. The main advantage of this architecture is that no controlling is required inside the buffer. The working of the switch is explained in detail and simulations are done to obtain packet loss probability and delay. These results have been verified by the mathematical model.